Today, many businesses, media, and software creators are using torrents to share files. A single torrent download can help spread big media files around the Internet in just a couple of minutes. Torrents use Peer-to-Peer (P2P) method BitTorrent, which is one of the most efficient mechanisms to transfer large files over the Internet. BitTorrent Inc is a company based in San Francisco. It is so popular that more than 170 million users adopt its technology on a monthly basis. BitTorrent’s protocol moves as much as 40% of the world’s Internet traffic every day. Unfortunately, BitTorrent protocol has a bad reputation due to its usage in pirated content sharing. But torrents are not synonyms of piracy. Some Linux distribution and open source projects are shared using torrents. Official software products like Ubuntu Desktop can be downloaded using BitTorrent. Torrents are also helping discover trends. Netflix, a media streaming giant, is using torrent sites to study tendencies in media. They are monitoring torrent download sites to see what is being downloaded. Once they have enough information about what is popular, they go out and purchase it. 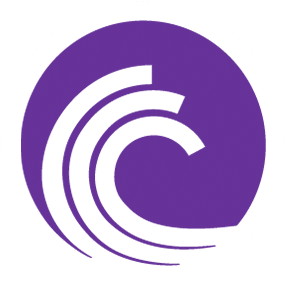 The following article, helps you understand how each torrent component works, how to download torrents using the best clients, how to remain secure and a bit of perspective on what the future holds for torrents. 5. Is torrent downloading legal? 10. Future of torrents: What’s next? When downloading a file from a single source, the file comes to your computer in a form of a string. If more users want the same file at the same time, the single source could get overloaded. Companies that use this approach to distribute content need powerful servers that can take on bursts of traffic. File sharing methods such as email, HTTP, or FTP are effective for small to medium-sized files. But when it comes to big file sharing, some of these methods have limitations. For example, email has certain size limitations per attachment. FTPS or SFTP are client/server which need powerful servers and might be slow for big files. Buying more powerful resources can be a temporary solution but expensive in the long run. This is where BitTorrent comes into play. BitTorrent is the most popular method for transferring files in a P2P environment. It is without question the fastest P2P protocol to download large files. As compared to single source sharing methods, BitTorrent downloads chunks of files from different sources or “seeds” in no particular order. Downloading with multiple sources results in higher speed and improved reliability. BitTorrent takes a different approach as compared with single source downloading and makes each downloader, a source on its own. With more than one source in place, a single file can be easily distributed. The downloaders get the pieces of the file they need, while also providing to other downloaders. BitTorrent transforms downloaders into seeders/sources and more sources mean faster downloads. All peers working together to provide each other with missing pieces to complete a file. Torrent trackers run the main engine behind the scenes. They are essential because they put you in contact with the peers that have the same file you are downloading. A disadvantage of torrent trackers is that they are centralized control servers. This means that they are a single point of control when initiating a connection. Fortunately, newer BitTorrent features, like DHT and Peer Exchange allow tracker-less control which helps you find peers in without relying on the tracker. Pro tip: If you value your privacy and anonymity, do not enable DHT and Peer Exchange. This file contains all the metadata about the file you are downloading and a list of torrent trackers. The torrent file is not the content; instead, it leads you to the file that you want to download. A quick online search can point you in the right direction about where to find torrent files. You can open a torrent file but it is just multiple lines with directions. Instead, use a torrent client to open it and start downloading the right content. This is the torrent download software that allows you to interact in the P2P environment. Opening a .torrent file with a client, will connect your computer with other peers and start downloading your file. You can configure your torrent client to do many things. Many clients allow torrent prioritization, bandwidth allocation, download speed graphs, and even inbuilt players. Your torrent file contains all the information about the content (files, name, structure, length, etc ) and URL of the torrent tracker. You load the torrent into the client which establishes communication with the tracker listed in the torrent file. The tracker saves your computer’s public info and sends you a list of users that are sharing the same file. When a connection is established with other peers, all necessary files can be either retrieved (from Seeds) or redistributed to other users who are also downloading. BitTorrent is so amazing because it allows you to stop any download and continue anytime. If your computer is down or connection was broken, the download progress will not be lost. Once the client is up and running, the trackers will do its job again and reconnect to the necessary peers. Although BitTorrent has a bad reputation, its technology, and related platforms are 100% legal (in most countries). While the problem is not with the technology itself, the legal issues start when it is used to distribute copyrighted material. Since BitTorrent is one of the most efficient file distribution methods, it was quickly adopted by pirates. That’s when illegal copyrighted content started to circulate around the web. In attempting to regulate torrenting activities, many state courts have had a hard time. They are faced with the challenge that not all torrents are illegal. While the majority of torrents are in some form illegal copyright accusations, there are others which are perfectly legal. They are also faced with the challenge of finding torrent users. The seeders are the ones hosting the pirated content which are all over the world. Pirate sites are not hosting pirated content only providing a list of seeders that can share the file. Torrents are legal when you use them to share legitimate content within a company or home. Blizzard Entertainment uses its own BitTorrent client to allow users to download popular games such as World of Warcraft, Starcraft, and Diablo III. When you buy a game online, you’ll get the game launcher which includes the torrent and the client which downloads the content. In 2010, the government of UK released financial data to the public sector through BitTorrent. They released some data resources through BitTorrent so that the government could save on resources and not buy extra power. Facebook also uses BitTorrent internally to push daily code updates. “BitTorrent is the most effective method for any server deployment,” said Tom Cook a Facebook’s systems engineer. As contrary to the belief, it is not possible to download pirated content from the official BitTorrent site. Among BitTorrent Inc.’s great products such as uTorrent and BitTorrent Syn, they also offer File Bundles. File Bundles are 100% legal files that can be downloaded through their platforms. BitTorrent offers 100% legal content, therefore holds no responsibility for what their clients are used for. Check the following article for more information on how to know if you are following the law when downloading a torrent. Torrent files are pretty much useless by themselves. There is not much to do with a torrent file, other than open it with a torrent client. There are many clients available out there, but few of them outstand. The following list shows 7 of the most popular and effective torrent clients. The most popular open-source torrent client bought and maintained by BitTorrent itself. uTorrent was released in 2005 and has maintained a high rank among the best torrent clients. uTorrent has been popular ever since because it is very lightweight and easy to use. It has managed to remain completely free by being supported by ads and third-party software. To avoid unwanted software, check the installation setup very cautious and uncheck any unnecessary tools. To avoid embedded ads, update your uTorrent, newer versions allow disabling of ads. Despite the “unwanted” advertisements, uTorrent has a good balance of features, lightness, and ease of use. You can make this client the best in terms of speed and user experience by applying the following uTorrent 14 tricks & tips. Check their official website to download a free version of uTorrent. The original and official client from BitTorrent Inc. Very similar to uTorrent’s user interface but a bit heavier. BitTorrent is free but also supported by ads and third-party software. If you want to avoid adds and software you have to buy the premium version. The BitTorrent client comes with a browser toolbar to make it easier to navigate and find torrents. Other cool features include web-based seeding, commenting and reviewing. An advantage of BitTorrent over uTorrent is that it is welcomed by some private trackers that usually reject uTorrent. To download the full BitTorrent client completely free, check their official downloads page. Considered by many users, the best free and open-source torrent client. qBittorrent is quite balanced in terms of simplicity, speed, and features. The highlights are an integrated torrent search engine, built-in media player, web-based remote control, IP filtering, torrent prioritization, the creation of torrents and the alerts system. On top of that, you can get qBittorrent completely free and without ads. The torrent client is available for Windows, Linux, and Mac OSX. 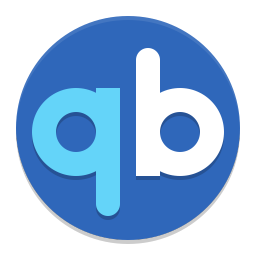 Download qBittorrent client from its official website. This client was first released in 2006. It was one of the most popular open-source clients in the beginning because it resisted bandwidth throttling from some ISPs. Now Deluge is still a strong contender. The most remarkable thing about this client is that it is lightweight and highly customizable. Using plug-ins you can make it the simplest or the most powerful platform out there. Another great thing about Deluge is that it is free and without ads. Some cool features include streaming while downloading, support for encrypted downloads, private torrents, adjusting speed according to network conditions, creating graphs and managing the client through the remote web. Deluge is available for Windows, Mac, Linux, and FreeBSD. Follow this ultimate guide to become a master in Deluge. Download the free and full version of Deluge on its official site. Once known as Azureus. Vuze has been around the same as uTorrent and has been a good contender for the top torrent clients. Vuze is an amazing free torrent client with the largest list of features. Some features include remote web management, an in-built HD video player and browser, file conversions and many cool statistics and visualizations. Vuze is very easy to use and can be password protected. Because of its rich variety of features, Vuze can be resource-heavy. Vuze is free, but you can also get the premium version for a yearly fee. The premium version can be a better choice because it comes with more features and without embedded ads. Download Vuze and try it out. This free and open-source client began as the only available for MAC and Linux. In fact, it still comes by default in some Linux distributions. Today, transmission is also supported by Windows with slight modifications. The client includes features such as IP filtering, encryption, download scheduling, and remote web management. But what makes it stand out is its super lightweight, minimalistic and low resource consumption application. All this for free and without a single embedded add. Download the latest version of Transmission completely free. While not the most popular, ruTorrent is worth being mentioned as one of the best torrent clients. ruTorrent came as a web front end from the command line based torrent client rTorrent. ruTorrent tries to imitate the feel of the uTorrent WebUI. ruTorrent is free, very easy to use and extra lightweight. ruTorrent is the perfect choice for remote torrent management and can run on very low resource systems, it can also allow you to create a torrent from zero. ruTorrent’s feature set can be highly customized. But adjusting the client and its features can get tricky. What is amazing about ruTorrent is that it can be installed on low-end servers and even SOHO routers. Due to this fact, ruTorrent is one of the best choices for Seedbox platforms. For more information on getting a Seedbox, check RapidSeedbox’s getting started guide. Check the following guide for more information on how to become a true expert in ruTorrent. Using dedicated clients all the time can have some disadvantages. ISPs can throttle speed for their ports, some come with third-party software or they might be inconvenient for the mobile everyday user. Fortunately, there are some alternatives to get around the need for a specific torrent client. Web browser Opera 12.18 was the first to take a step into BitTorrent support. Soon after, some other browsers followed, like Wyzo, Brave and Web Torrent. It is convenient to download and manage all your torrents right from your web browser, but a browser might lack rich features that a client may offer. If you want to still use your favorite web browser, there are some extensions that can add BitTorrent support. For example, BitFox is an extension that adds BitTorrent support to Mozilla Firefox. Despite the many benefits of BitTorrent, it is still a very public-facing share method. Anonymity is the one feature that needs to be further developed in the industry. Is not only about bad reputation but torrents can also be unsafe. Black-hat hackers use torrents to attract easy victims. All they have to do is create a new torrent, name it as something attractive, build Malware and hide it within the file. That is all it takes to get your computer infected with Ransomware or some creepy Trojan. On top of that, some ISPs might block your torrent connection and in the best case scenario, they will reduce your Internet speed. In some extreme cases, copyright holders can track your public IP without the need for ISPs. Safe downloading remains one of the most important aspects for every user in P2P. Anonymity can help you hide from malicious hackers, from ISPs bandwidth throttling, and from crazy copyright vigilantes. If security is a top priority and you are a serious torrent user, there are options out there. A Seedbox! A Seedbox can be a VPS (Virtual Private Server) or a dedicated physical server placed in the cloud. They are built for the specific purpose of torrent download and upload. Seedbox servers usually have a high-speed connection to the Internet and can be available 24/7. Some private torrent trackers need high upload ratio, so a Seedbox is a perfect solution because they are always active. Since they are located in the cloud they don’t require things such as extra space, electricity, bandwidth or cabling. You can maintain a high upload ratio without consuming your resources. You are not required to install any torrent software on your computer because all torrent download and upload is done through remote torrent management. Check the following article, for more reasons why seedboxes are your best choice. Another advantage of Seedboxes is that your public address is not visible. Only the public IP of the Seedbox is at risk because is open to the world. This allows you to be completely anonymous while downloading torrents. This ultimate crib sheet to stay anonymous will give you the right tips and tricks. The data in the Seedbox can then be downloaded to your PC, through an encrypted File Transfer Protocol such as SFTP or FTPS. Some Seedboxes comes with Plex Media Server pre-installed with allows streaming your media files to your favorite device right from the Seedbox, so you don’t have to download the data. In other words, you Seedbox becomes an awesome Media Center. Future of torrents: What’s next? The sky is probably not the limit for P2P file-sharing. Despite its many dislikes from the media industry, torrents are not only enduring but also evolving. Torrent networks are dynamic communities of similar people. They are so big and so geographically dispersed that it is impossible for government and agencies to stop them. Only media producers that see torrent technology as an opportunity can potentially evolve with the times. Take the case of Netflix and its way of looking for trends in torrent communities. But times are changing and users are adjusting. High-speed Internet and streaming services are shaking up the P2P world. Why go the long way of a torrent download if you can just stream it? Users that used to download torrents are turning heads to Netflix, Hulu, Youtube or Spotify. They don’t need to go through the whole process of torrents, it is more convenient to just go online and press Play. Plex Media Server, another online service that allows you to organize your media and stream it anywhere in the world. Plex is becoming a really handy tool for serious torrent users. To learn how to set it up and manage it easily follow this Plex ultimate guide. Even some torrent clients are beginning to steer in the same direction. uTorrent and BitLord are some examples of clients that are starting to offer a streaming option. They offer “Play Now” or “Playback” links without needing to literally download the file to your computer.